While countless Ames High students spend hours working on creative projects in and out of school, few receive the fame and recognition that all of their hard work warrants. 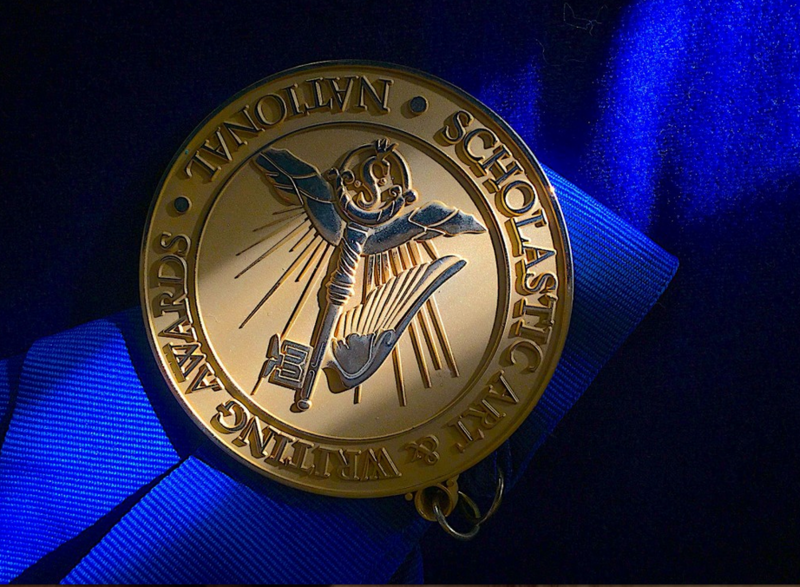 Thus enter the Scholastic Art and Writing Awards–a program intended to recognize the artistic and writing abilities of students at a regional and national level. Out of more than 350,000 entries submitted in 2018, Ames High had several students honored with Gold and Silver medals, an honor that distinguishes these students as true scholars and places them among the top tier of their respective category. The Scholastic Art and Writing Awards are a yearly event and consist of 29 categories, ranging from fashion, humor writing, and even video game design, that students can submit their work into. Submissions are judged at a regional level, and those students who receive a Gold Key are eligible for the National competition and the eternal fame that it brings. “It’s pretty special because it’s a national award,” said senior Jamie Zhang. “It’s cool to get recognized like that and it’s really nice to see other people’s work.” Zhang won a Gold Medal for her alphabet illustration book, ABC Book on Home (And Other Variations), and will be among the students traveling to New York City in June at the National Ceremony reception in Carnegie Hall. Joining her will be Amy Guan, who along with receiving a Gold Medal for her Ms. Chen poem, earned a regional Silver Key in essay writing. The Scholastic Art and Writing Awards have made the act of submission as effortless and inclusive as possible. With any public, private, or home-schooled students in grades 7-12 being eligible to enter either electronically or by mail, the only problem comes in concocting a suitable creation. “Actually write,” advises Lucas Bleyle, recipient of a Silver Medal for his Life Without Electives journalism entry. “It’s not about waiting for inspiration to come, it’s about sitting down and writing something. Something will turn into something good potentially, but nothing will never turn into something.” So take heed aspiring writers, artists, and creators, work diligently toward your passion and the next International Scholastic Gold Medal is as good as yours.